Pook's Hill Lodge is located at the foothills of the Maya Mountains in the Cayo District of Belize, bordering the Roaring River and Tapir Mountain Nature Reserve. 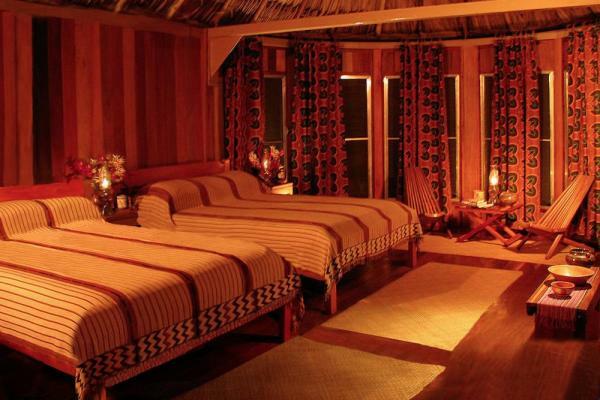 The lodge is situated within a 300 acre Private Reserve encompassing the site of an ancient Maya Plazeula Group. This, coupled with its unparalleled position in the very heart of the country, makes Pook's Hill a perfect base to discover the sites and sounds of Belize. Adventurers, researchers, birders, families, and those looking to explore all that Belize has to offer will find Pook's Hill an ideal destination. The adventure begins along the 3/4 mile access road that leads you through the rainforest; private nature trails in the reserve take you past giant Mahogany, Cedar, Strangling Fig and Ceiba. The forest is the home of Belizean mammals such as the tapir, jaguar, coati mundi, gibnut. 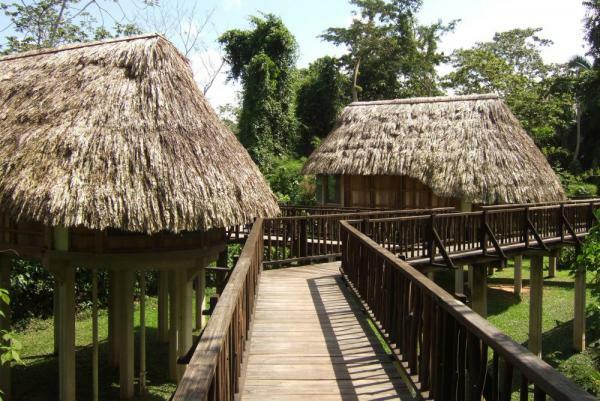 The lodge surrounds a small Maya plaza with rolling lawns, leading to a river and jungle. Each of the 11 cabanas has a private bathroom, 24 hr electricity and a fan. 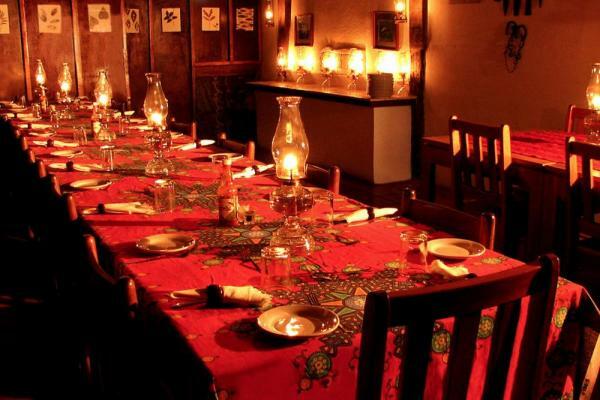 Enjoy a cool drink in the open bar and delicious Caribbean-style cuisine in the lantern-lit dining room. 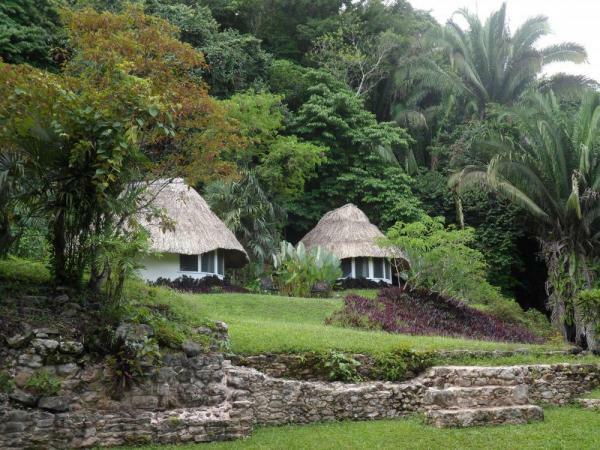 The thatched cabanas surround a Maya site and overlook the forest canopy and creek below. 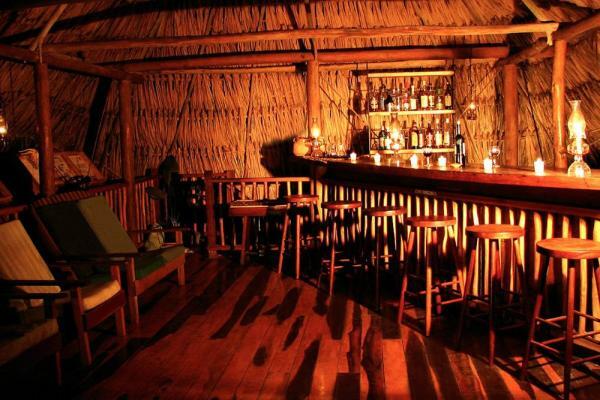 The bar/veranda is ideal for birding or just relaxing in the tranquil setting. 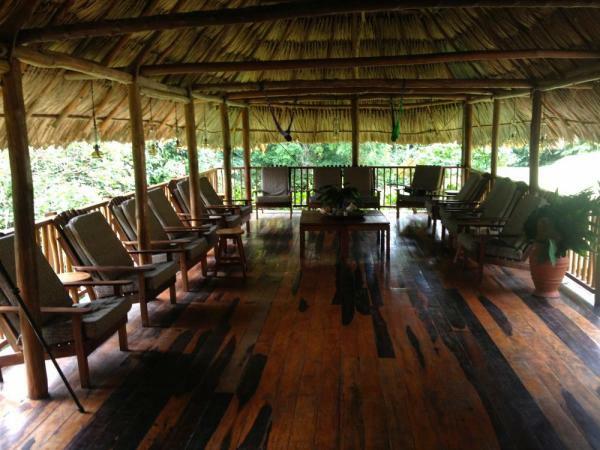 Activities at the lodge include: birding, hiking, river tubing and swimming. 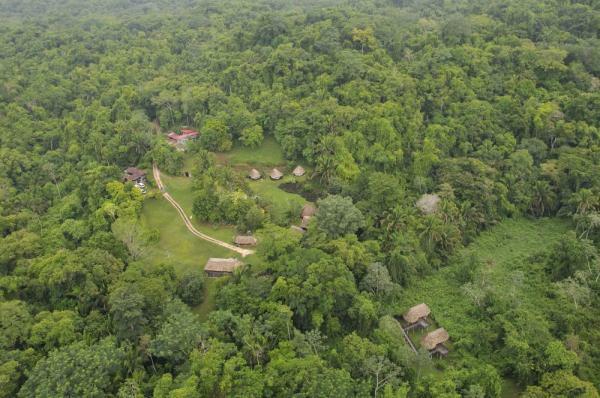 The lodge is walking distance from the cave, Actun Tunichil Mucnal, the most adventurous caving expedition in Belize. 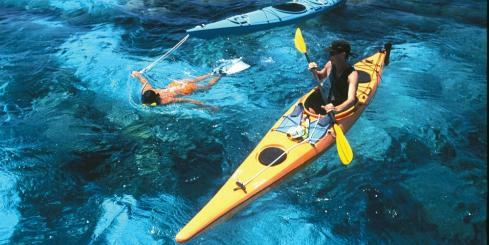 Cave tubing or canoe tours on the Belize and Macal rivers or tours to Caracol, Tikal and Xunantunich are also offered. Pook's Hill has been endorsed by ornithologists as in a league of its own. The birding from the lodge veranda, the meadows and along the riverside is superb. 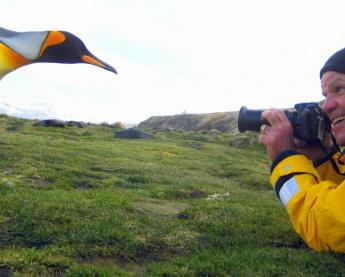 Birders can enjoy miles of forest trails, river walks and open landscape. Hummingbirds give a spectacular display at the veranda and there are good sightings of trogans, motmots, toucans and most of the forest species. Pook's Hill Reserve is a delight to explore. Hike pass giant mahogany and under a tangle of lianas. 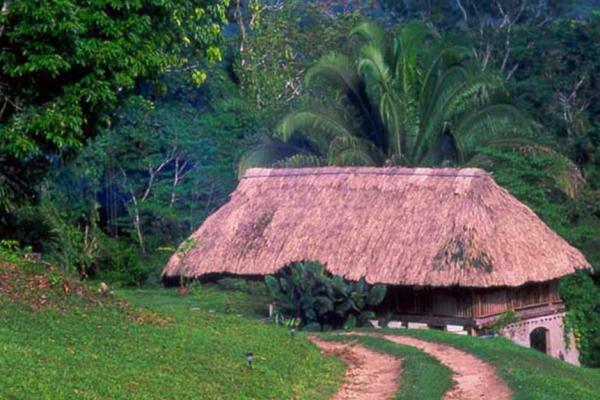 Discover the various medicinal plants, orchids, palms and hardwood and the insects and animals that use the rainforest of Belize as their home. There are extensive jungle trails and an information sheet about the plants and trees. Enjoy the crystal clear water of the Roaring River just downstream from the Thousand-Foot Falls in the Maya Mountains of Belize. Pook's Hill has two miles of frontage on the Roaring River. It is perfect for tubing or cooling off in one of the hidden jungle pools. 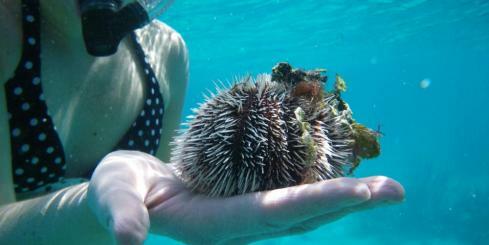 One of the most exciting adventures in Belize is in our valley, on our doorstep. Actun Tunichil Muknal (ATM Cave) (Mayan for 'Stone Sepulchre Cave') is a truly unique caving experience. The cave is accessed by hiking through jungle trails and traversing the Roaring River. At the hourglass entrance of the cave, you will swim through a turquoise pool and venture upstream over rocks and through formations to the cave's main chamber. Combining spectacular natural formations and the untouched remains of ancient Maya rituals, Actun Tunichil Muknal is truly a once in a lifetime experience. For those looking for a softer adventure, we also provide tours to Barton Creek Cave or Caves Branch. 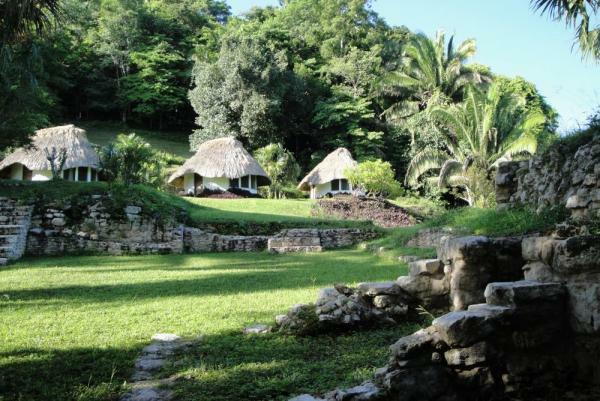 Pook's Hill Lodge is the perfect jumping-off point to explore the rich archaeological heritage of Belize. Natural interest is in all that is around, the forest, flora and fauna. Pook's Hill Nature Reserve offers an ideal location, in the heart of prime rainforest, for students and researchers alike. Adjacent to the 300 acre private reserve at Pook's Hill, is the 6,700 acre preserve of the Tapir Mountain Reserve. This is closed to tourism but access is available for research. This preserve is managed by the Audubon Society Belize. Researchers use these facilities and leave valuable information. This is available to all our guests. There is also a well established High Rise Habitat for nesting birds. Wake up with the birds as the sun rises over the hills to bath the jungle in light. Pook's Hill has been described as a "birders paradise" and is host to birding groups who come yearly to marvel at the both the native forest birds and our winter visitors. Let one of our naturalist guides help you spot toucans, trogons, orioles, woodpeckers, and hawks (just to name a few) all right around the lodge center! Early morning coffee and tea can be served for this activity upon request. Choose from a walk through old growth primary rainforest where you will see ancient trees and mind-bending vines or the flood plain thicket forest, popular haunt of Belize's national animal, Baird's Tapir. 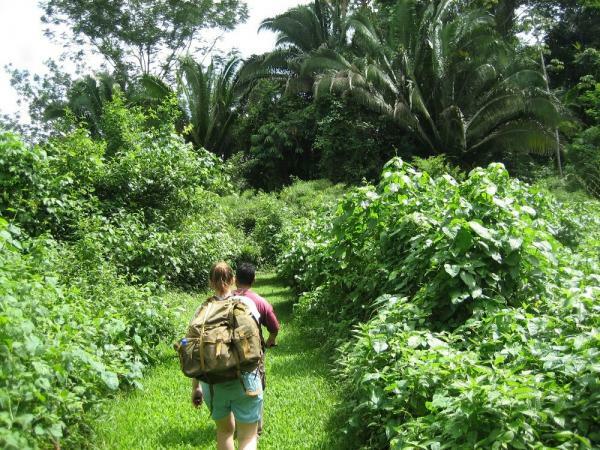 One of the experienced naturalist guides will be happy to take you on a guided exploration of these trails and teach you about jungle ecology, local fauna, and local uses of the forest's varied plant life. Or, grab a map and head out to explore the bush yourself! Take a 15 minute walk on the flood plain forest trail towards the Roaring River with your inner tubes and one of the friendly staff who will take you on a run of the river. Once you know the ropes, go back for as many more rides as you like! We also encourage guests to go down to the river and enjoy our many "natural swimming" pools, beautiful stone beaches, and lovely riparian forest. A splashing good time! The jungle is a different world once the sun goes down. Head out with your flashlight to experience a bit of the "night life" and see if which forest dwellers come out to join you. Pre-booking tours is recommended and there is no guarantee of a tour's availability without prior booking arrangements. Some tours may not be available at certain times of the year due to weather conditions. Tours require a minimum of 2 persons. Enjoy a morning of canoeing on the Macal River with a naturalist guide spotting wildlife such as Iguanas and water birds along the way. Then go out to lunch at a local restaurant and sample some Belizean food. In the afternoon, cross the Mopan River via a hand winched ferry at the Maya Village of San Jose Succotz for a visit to Xunantunich, Belize's most accessible Maya site of significance. The site's dominant structure, El Castillo, rises 130 feet above the jungle floor, making the views from the top superb, with forest stretching out all around and the rest of the ancient city mapped out beneath you. 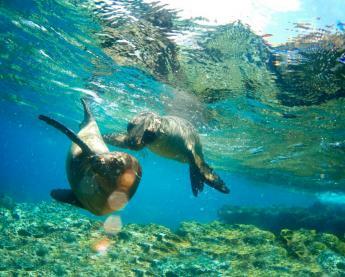 This tour is consistently popular with all of our guests and is great for families with children. 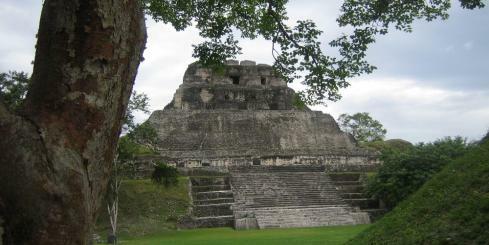 Visit the Xunantunich and Cahal Pech Maya sites. Overlooking the town of San Ignacio is Cahal Pech, the royal acropolis-palace of an elite Maya family during the classic periods. 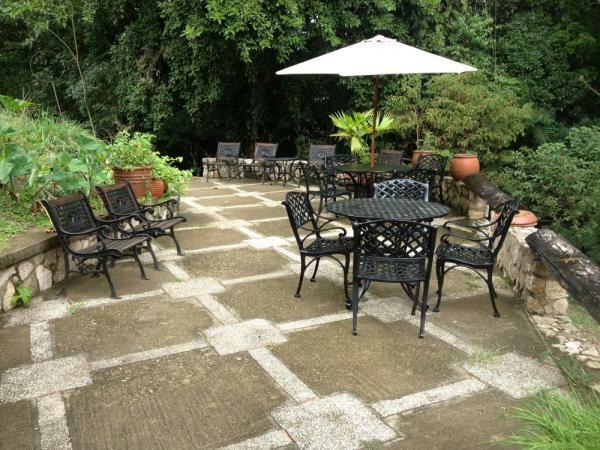 It offers a panoramic outlook of the town and the Belize River Valley below. Go out to lunch at a local restaurant in between site visits and sample some Belizean food. In this leisurely tour you explore the Barton Creek Cave formations aboard your canoe as you slowly paddle through the cave passage. After the cave, head over to the nearby Green Hills Butterfly Ranch, where you will experience Belize's biggest and best butterfly exhibit. Enjoy a picnic lunch at the ranch and then discover the beautiful butterflies of Belize. The knowledgeable staff will present an excellent synopsis of the butterfly life cycle but the main attraction is the enclosed flight area where scores of gorgeous tropical butterflies flutter around you. 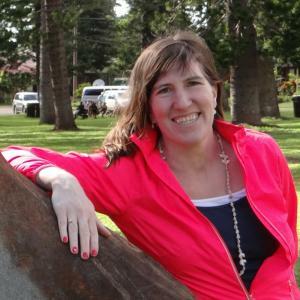 This tour is fun for all ages and highly recommended for families with children. For a shorter trip, visit the Barton Creek Cave without going to Green Hills Butterfly Ranch. Don't like the idea of being in a dark cave? Visit Green Hills Butterfly Ranch without going to the Barton Creek Cave. This tour is a must to see in this part of the world! 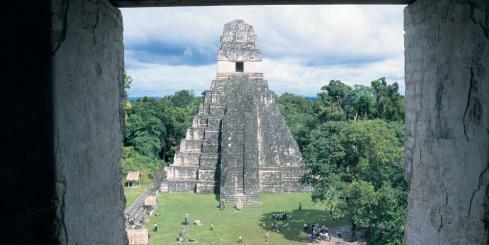 Tikal is one of the most famous and impressive Maya sites in Mesoamerica with over 3,000 structures and several of the tallest temples in the Maya World. Nestled high up on the hills in the heart of Guatemala's Maya Biosphere Reserve, the tours is a perfect combination of archaeology and jungle wildlife. A knowledgeable Tikal expert will give you a glimpse into the past of one of the world's most impressive early civilizations and help you to spot the howler monkeys, spider monkeys, oscillated turkeys, coatis and other amazing wildlife that frequent this massive jungle park. 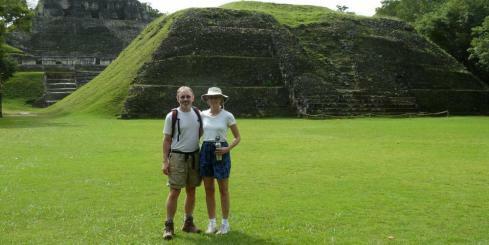 Caracol is the largest Maya site in Belize and covers some 35 sq miles, with 36,000 structures marked so far. 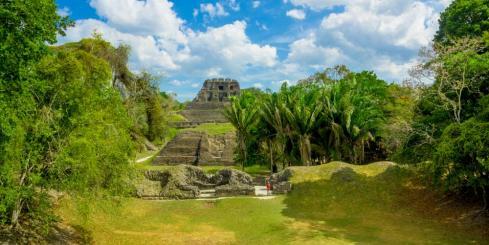 Restoration at this a massive Maya City is ongoing. A day trip to the site takes you on through the Mountain Pine Ridge deep in the folds of the Maya Mountains. Time permitting, your guide will take you to some of the sites in the Mountain Pine Ridge on the journey home. Anyone who can appreciate hiking and will enjoy floating through caves and majestic jungle on inner tubes will love this trip. 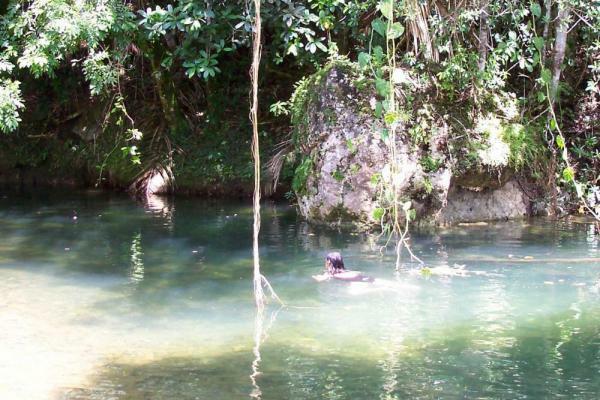 A short hike through the jungle leads you to where you "put-in" to the Cave's Branch River with your inner tubes. From there, enjoy a float through a series of caves with glimpses of the towering rainforest in between. This cave trip is a fun-filled tour for all age groups. A thrilling opportunity to soar through the jungle treetops high above the forest floor. 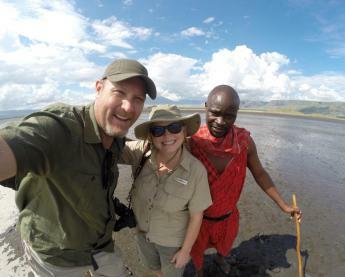 This highly adventurous tour has been described as "a rush like no other!" The tour begins with a steep hike over jungles laden limestone hills that leads up, up and up to the edge of a collapsed cave system that has high forest growing out of the center and opens into massive caverns on either end. Here your skilled team of guides will prepare you to "ease" your way over the lip of cave and repel the 300 feet down into the collapsed cavern's floor. You control the pace of your descent which allows you the choice to savor the view as you pass through layers of the canopy on your way to the ground or zip down in one thrilling rush! This tour is not recommended for the faint of heart. A guided exploration into this very spectacular cave system will take you miles through huge caverns that are adorned with crystalline formations. This is a fairly rigorous cave adventure. Travel up into the Maya Mountains to experience Belize's pine forest ecosystem and some of the impressive water formations that appear where many of Western Belize's lowland rivers have their head-waters. 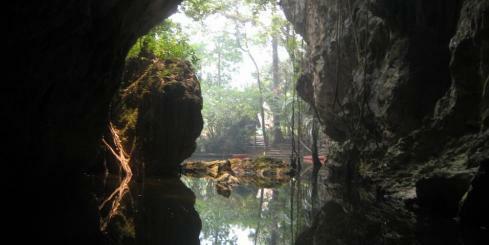 Visit the Rio Frio Cave, swim at Rio On Pools, and visit 1000 ft falls. If there is time, you can stop at the Green Hills Butterfly Ranch on your journey back to Pook's. Along the scenic Hummingbird Highway is the Blue Hole National Park, where an underground tributary of the Sibun River bubbles to the surface and fills a deep limestone sinkhole about 33 meters deep. Jungle trails through the national park take you up to a viewpoint, overlooking the surrounding area.